Cut N Dry Foam. 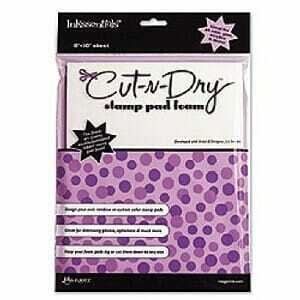 8 x 10 dry double-sided stamp pad foam sheet for use with pigment and viscous inks paints and glues. Double-sided Non-skid backing Reusable 8 x 10 Cut and Dry. 14607. Customer evaluation for "Ranger Ink - BS Cut N Dry Foam"